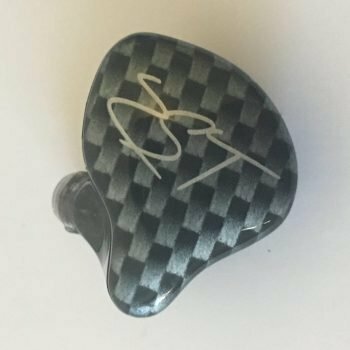 KZ is a newer company that has started to make waves in the audio community for producing a now fairly extensive collection of in-ear headphones, some of which have become highly regarded. 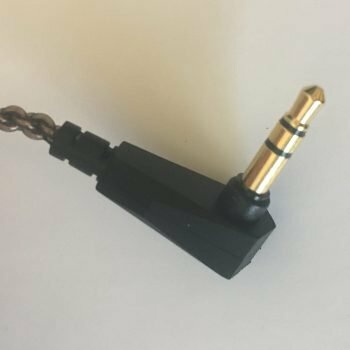 The ZST Pro, a high quality yet relatively inexpensive earbud, is currently one of their most popular products. Packaging was sort of minimalist yet still nice – a hard open box slides out of the cover to reveal another piece of protective plastic that covers the earbuds, which are nicely embedded in a contoured packing piece. Remaining accessories were neatly stored underneath the black packing piece. Correctly connecting and orienting the headphones and wire isn’t immediately intuitive, but they have a diagram in the manual that makes it easy enough to figure out. There are designated left and right wires that you’ll need to make sure are on the correct sides. It took me a minute to get them correctly connected and positioned, but then fit decently well. The buds are a bit bulky and I had to use a larger replacement tip to get an adequate seal and prevent the left bud from dangling out a bit. 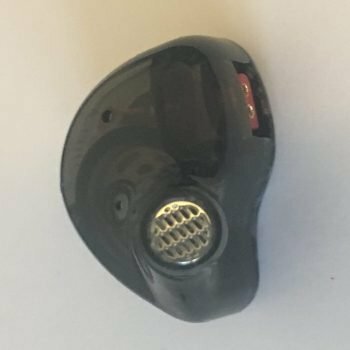 The ear pads are simply a piece of additional plastic insulation that’s elastic but not malleable, though if you’re willing to put in a bit of effort you should be able to mold them with a hair dryer. 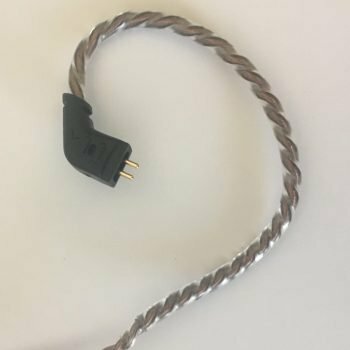 The wire is kind of twisted and woven together which I’m not a fan of – additional insulation would have been nice but this is probably how they keep the cost down. The microphonics was minimal at least. The angled 3.5mm jack is nice and sturdy. The ZST Pro does has a version with an in-line mic for a few dollars more if you want one. 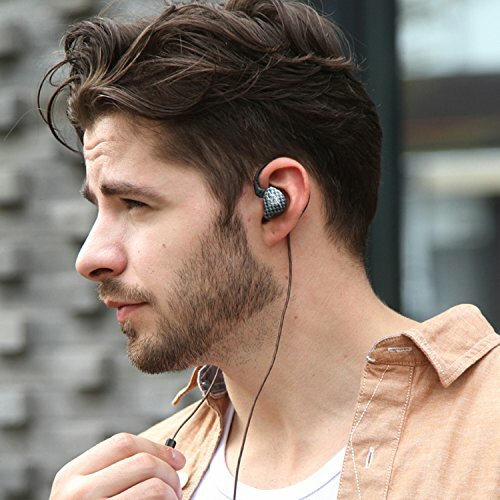 All in all these are well built and decently comfortable earbuds. 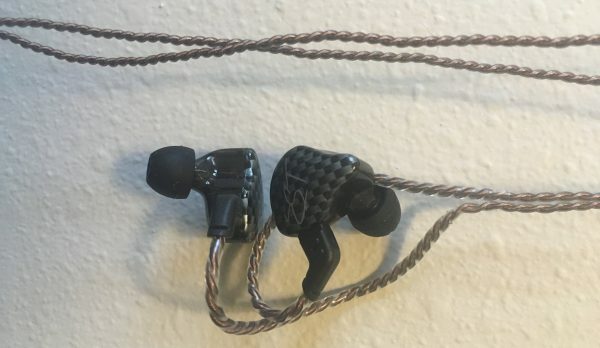 General impression: these are good sounding headphones, with no significant specific flaws that tend to be attributable to cheaper headphones. They do have a very distinct signature though, one that I think is better suited for some types of music and also something that some people tend to like while others don’t. 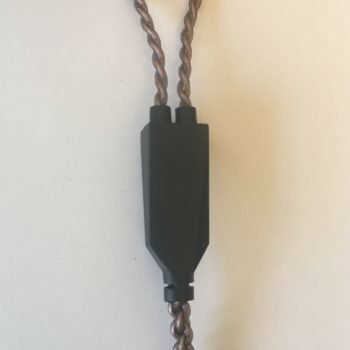 Sound signature: the ZST definitely has the proverbial flat to V shape – good bass extension with very bright and crisp trebles, with excellent clarity and detail. You can really hear things like percussions and individual instruments. The mids are a bit recessed though, which results in a kind of thin and harsh sound with a bit of sibilance in some cases. It sort of felt like the air was getting sucked out of the fullness, is the best way I can describe the sensation of this sound signature. These also have that so called sparkle sensation up top. Bass: the quoted response floor is 20 Hz, which is average for this price tier, but the ZST’s bass extension was good. Drops sounded generally good and came through fully. There was a bit of thump and resonance on some beats, but while this is a sensation I normally don’t like personally, it felt nice with the ZST interestingly. No perceptible mud, grain, or bleeding. 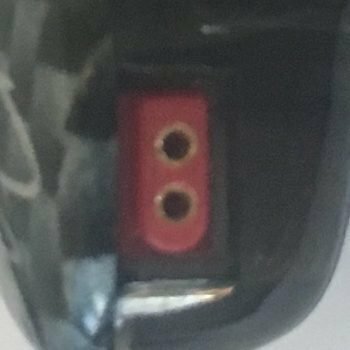 Power/Volume: the quoted sensitivity and impedance are 106 and 10 respectively, which theoretically means these headphones should be able to get very loud, very easily, but I actually had to crank the volume up more than normal to get these to a decent listening volume. Probably a result of me trying to get some more fullness with the V sound signature. I don’t see why any device would have trouble powering these. Isolation: I’d say on the light/medium side – decent enough to block out ambient noise for basic commuter use, but might not cut it for really noisy environments. Warranty: 1 year, which is comparatively average. 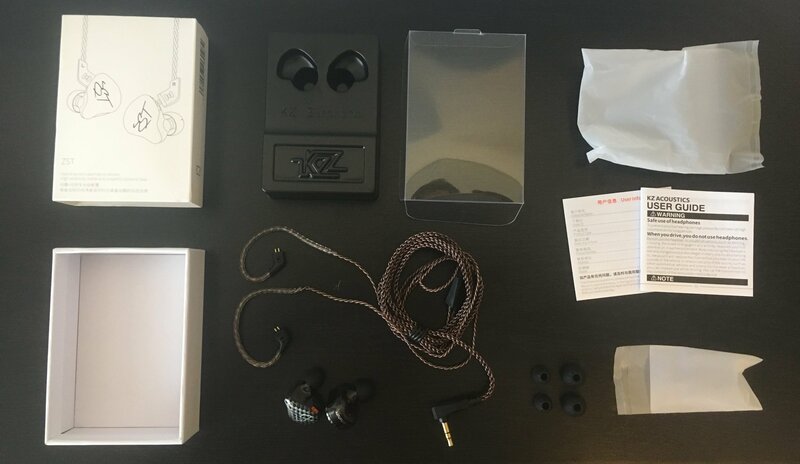 The now quite popular ZST Pro is a good sounding, decently comfortable, and well built in-ear headphone for a modest price. It has a very distinct V shape sound signature that’s very bright and detailed up through the trebles – some people like the clarity of such, while others (myself included) find it a bit thin and harsh and prefer a flat or even rounder response across the mids. I’d say these being a good choice is going to depend on your preferences and how you plan to use them.